Home / Economy / Cannabis economics: should Europe legalize marijuana? Cannabis economics: should Europe legalize marijuana? The legalization of marijuana in some States of the US has reopened also in Europe the debate about a potential similar move in the Member States of the European Union. Besides the ethical considerations that the issue of drugs inevitably brings to the fore, there is a number of economic aspects that should also inform this debate. Or is it rather 35 billion Euros? The first problem we encounter in assessing the economic relevance of the marijuana business in Europe is that data are scant and often dependent on heroic assumptions based on the amount of drugs seized by the authorities. 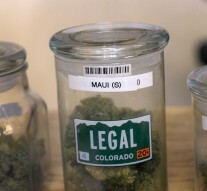 The State of Colorado in the USA, after one year of legalization of marijuana, has reported that the retail business was about 700 million dollars which generated about 63 million in taxes for the coffer of the State. Colorado is a small State of about 5 million people, the tax revenues therefore amount to a non-negligible 12 million dollars per capita. By making cannabis more accessible its consumption would probably increase and with it the associated health problems. Legalization would bring about a reduction in prices since current “street” prices factor-in a risk premium, ie. that of being caught by the police. As the price declines, standard economic theory expects consumption to increase. The health risks associated with marijuana are subject of debate in the scientific community. Since it is not clear what health conditions would have to be treated once and if cannabis consumption increases, it is also complicated to estimate the potential higher costs. What can be argued however is that once cannabis becomes legal, Governments would have stronger tools to control its use, its chemical composition and study its consequences on health. As such, the impact of legalization on overall health costs may not have the expected sign. The excise duties applied to tobacco and alcohol for example take into consideration the negative health externalities of the consumption of these products and at the same time reduce their overall consumption as retail prices are raised. Conclusions: educate and beware of the Treaties! Regardless of where one stands in the debate about legalization, some broad arguments can be made. The consumption of drugs is an eternal feature of mankind and it is unlikely to disappear. At the same time the regulations applied to other legal but dangerous substances like tobacco or alcohol, enable authorities to control and limit their harmful effects on individuals and societies. A similar regulatory regime could be applied to cannabis while its production and retail would certainly also bring further revenues to the State and to the farmers and reduce costs associated to law enforcement. Health costs may increase if consumption increases. However if Governments were to use at least part of the extra revenues to promote education and awareness on the risks associated with drugs, the benefits for society at large would be considerable. Prevention is possibly the best antidote against drugs abuse. Finally, there is a slightly more pragmatic matter that should be considered. As the USA engage in experimental legalization of marijuana and if these experiments appear to work, the American diplomacy may use its leverage to modify existing international treaties on drugs to change the treatment reserved to cannabis, promoting its legalization worldwide. The EU should therefore be careful not to end up in the rearguard of a potentially very lucrative commercial venture.